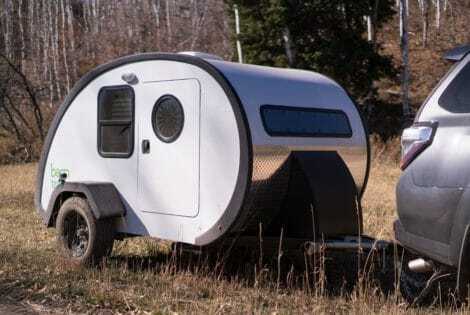 When we talk about trailers, no matter the make or model, we immediately picture something with wheels. 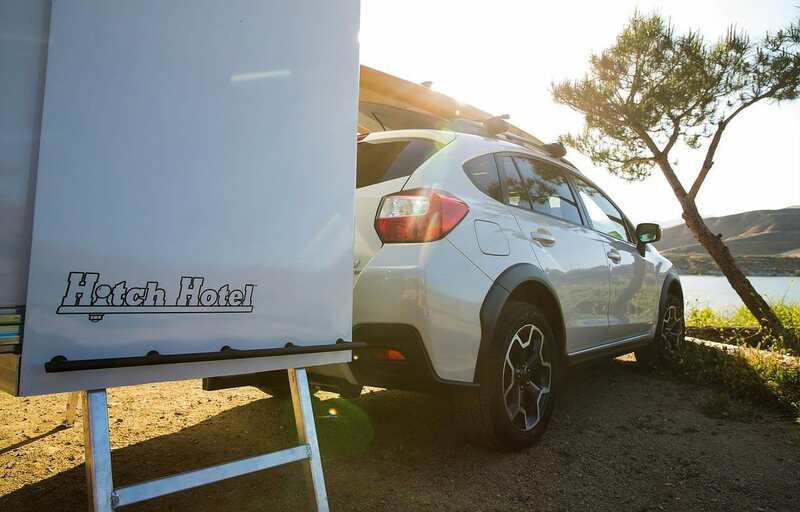 That’s all about to change as Hitch Hotel breaks the mold by being the first and only expandable trailer that doesn’t need them. It might sound unbelievable at first, but the company was able to live up to its claim—thanks to the clever use of lightweight materials and innovative design. 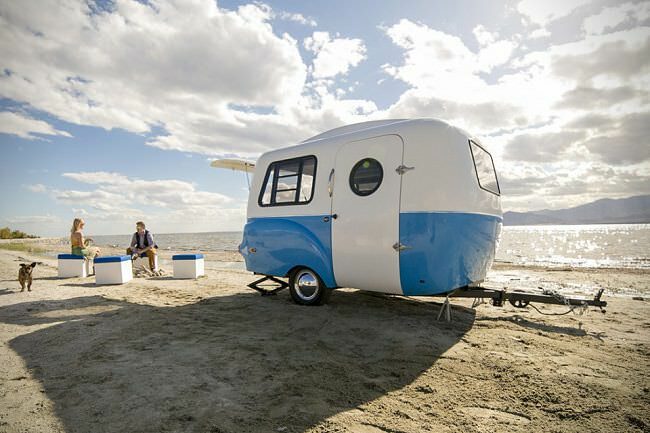 To keep its heft at a minimum, the trailer is constructed out of T6 aluminum and fiberglass. 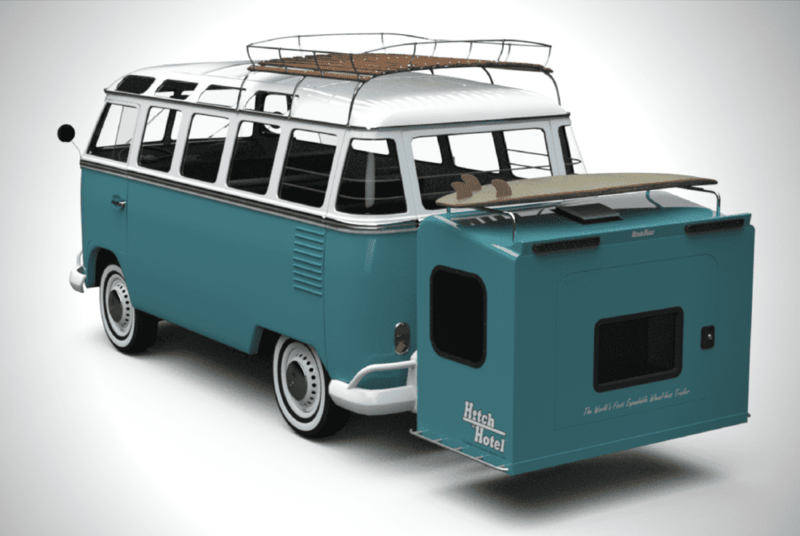 Built-in adjustable struts swing out to keep the camper stable when its drawn out to full length. 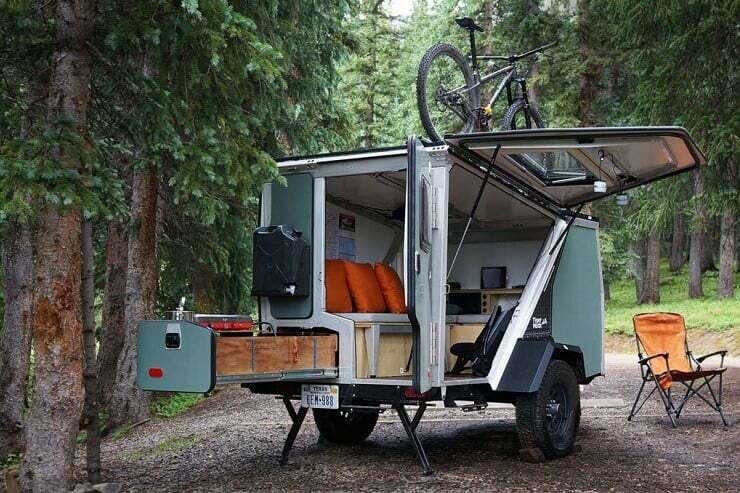 Fully-closed, the Hitch Hotel provides you with 60 cubic feet of space (enough for three full-size bicycles)—to store your additional cargo securely for travel. The magic actually happens when it’s fully-expanded, wherein you’re given a whopping 135 cubic feet sleeping area that’s roughly the size of a queen size bed. Moreover, its compact form factor makes it easy to store in your garage when not in use. 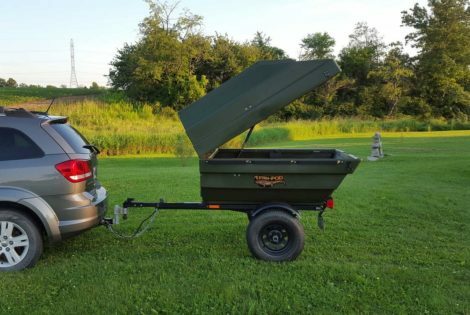 Compatibility requirements dictate that the portable storage/camper is ideally supported by vehicles with a class 3 hitch rating or higher. However, depending on the GVWR (Gross Vehicle Weight Rating) of your ride, some class 2-rated models might be able to support it. After all, the entire package just weighs in at a manageable 245 pounds. The Lume Traveler No. 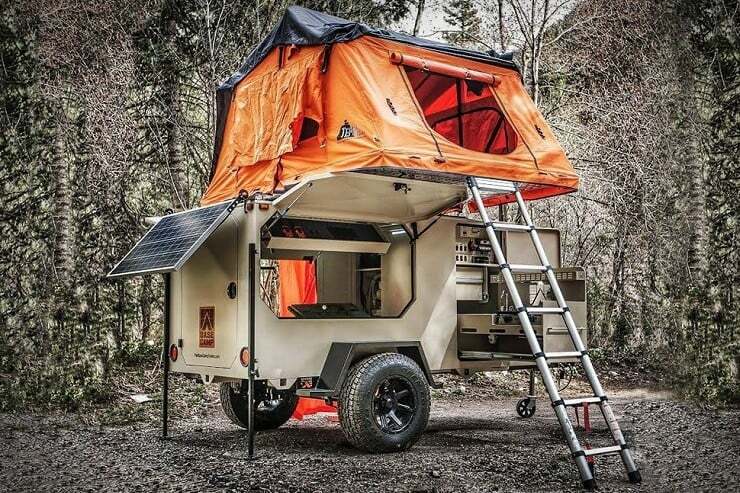 1 trailer offers comfort while outdoors. 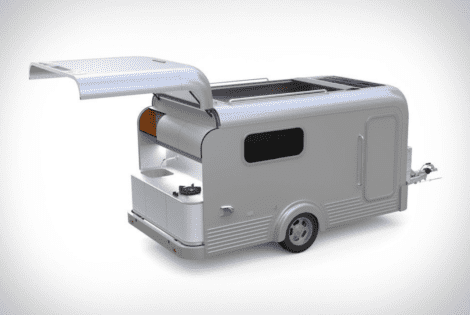 It has a sliding roof for a panoramic view of the stars and a kitchen for your cooking needs.